Spacious and updated 2 bed/2 bath with no stairs and attached garage! 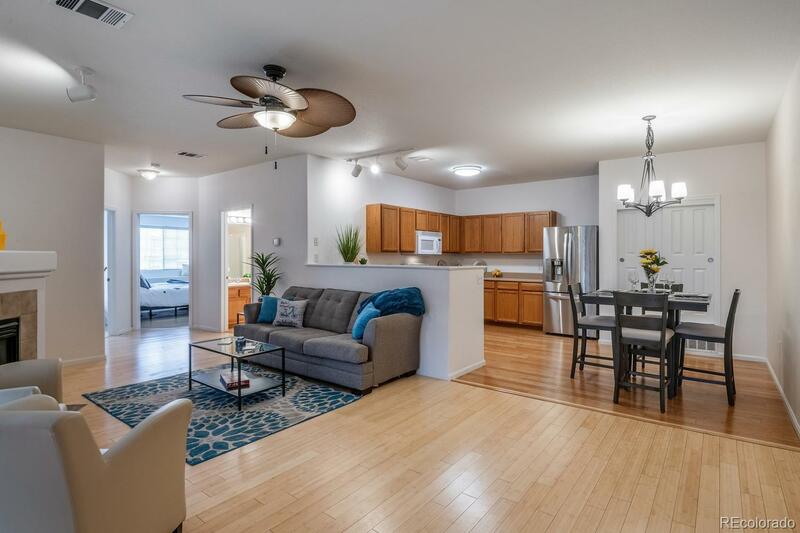 Open floor plan with bamboo floors and new paint throughout. Nice big kitchen with plenty of cabinets and counter space. Cozy gas fireplace in the living room. Step out onto the inviting patio. The community clubhouse offers a huge heated pool, outdoor hot tub, fitness center and sauna. Close to dining, shopping and public transportation. Just minutes away from the RTD light rail. Quiet setting.